In the ultra-competitive world of sports, where technique and training regimes are often closely guarded secrets, it is uncommon to find a top athlete striving to share their knowledge with as wide an audience as possible. But Hanny Allston is far from a typical sporting star. Without a trace of egotism and with the wisdom of someone much older, Allston is turning the notion of what it means to be an elite athlete on its head. Having overcome great odds to become the first non-European to claim a World Orienteering Championship title, Allston has learnt never to accept a limit on her abilities. Her life has been a roller-coaster ride, but along the way she has discovered the things that seemed like a wrong turn at the time have in fact set her up for a remarkable opportunity to help and inspire others. Through her business, Find Your Feet, Allston is coaching and mentoring a growing cohort of runners around Australia and setting new ground in fitness tourism. She and her partner Graham Hammond returned late last year to Hobart, from where they are introducing a new breed of adventurous tourists to all Tasmania has to offer. Between coaching and hosting running tours in Tasmania and overseas, Allston volunteers her time coaching Australia’s junior orienteering team, which is preparing for competition in Norway later this year. And yet, as an athlete, the 29-year-old is still breaking new race records on the national stage, including at the Six Foot Track Marathon in New South Wales a fortnight ago. Under the guidance of a new coach, Allston is switching focus from orienteering and marathon running to the gruelling sport of high-altitude endurance racing. In this year’s Skyrunner World Series she will take on some of the highest mountains in Europe and Asia, pitting her mental and physical strength against some of the toughest athletes on the planet. Without a doubt, Allston is a sportswoman - and an entrepreneur - to keep an eye on. At 20, in 2006, Allston made history as the first Australian to win gold at the World Orienteering Championships, having outperformed 150 competitors from 35 countries. It was the first time a junior had taken out the main prize. At the medal ceremony in Denmark, Allston was presented with her gold medal by Crown Prince Frederik, whose wife is Tasmanian born Mary. As news reports said at the time, it was an extraordinary achievement for someone so young and from outside Europe, where orienteering is a lucrative high-profile sport. But what the reporters at the time did not know was Allston had been told by surgeons eight months earlier she would never run again. It was during the Orienteering World Championships in Japan in 2005, when Allston was almost through her first year of medicine at the University of Tasmania, that she suffered the injury that looked to spell the end of her racing career. “I was running down a hill to the first control in the competition and just rolled my ankle really badly,” she says. Despite the pain, she went on to finish sixth, her best result for Australia. But a few months later she had a full ankle reconstruction in Melbourne. The injury coincided with a devastating family crisis. Her father Simon, who with her mother Julia had been a bedrock of support, suffered a breakdown and tried to take his life. Allston’s world as she knew it was crumbling around her. She sought refuge in her sport, convincing herself if she could not only run again, but win on the world stage, everything else would fall into place. “I felt like I was in a huge hole and if I could achieve those goals I had set myself in orienteering, I could prove to myself I had got out of the hole,” Allston says. In many ways, her gold medal at the World Championships in Denmark the next year came too soon. Working towards the audaciously ambitious goal had been her escape from the crisis that was tearing her family apart. “Standing on the dais I remember just thinking, ‘I’m still the same Hanny and I’ve still got the same issues that I’ve got to go home and resolve and face up to’,” she says. Her dad recovered from the severe bipolar episode that almost claimed his life and enjoyed a successful career as Tasmanian Ombudsman. He has since spoken publicly about his experience to help raise awareness about depression and prove a full recovery is possible. He says his illness and the subsequent breakdown of his marriage to Julia were too much for his daughter to cope with. Her new-found fame also brought with it a burden of expectation and pressure. “When you achieve that sort of accolade or success when you are not emotionally ready for it, it can be quite destructive - and for Hanny it happened at the time of this family crisis,” he says. “It derailed her for a while. She didn’t know where to go next.” She may have been a world champion, but Allston found herself - like many young high achievers - struggling to find her way in the world. “My parents were going through a divorce, I moved out of home probably prematurely, they sold the family farm, my brother moved to Melbourne and I dropped out of medical school,” she says. Allston was plagued by depression, an illness fuelled by her self doubt. With a health science degree under her belt but no desire to work in research, Allston studied teaching in Auckland, a move she describes in hindsight as a form of “running away”. After a year at Melbourne Girls Grammar, she returned home to Hobart feeling as lost as ever. “When I got back from Melbourne I didn’t know what I wanted to do. I didn’t really enjoy teaching in schools and I didn’t want to work in medical research, which was my other degree,” Allston says. “I kept finding myself saying, ‘I’m just trying to find my feet’, so that was where the business Find Your Feet came from." What started with Allston hosting group running sessions grew into a business coaching individuals and sporting groups including the North Melbourne Football Club on its pre-season training camps in Tasmania. Suddenly, with her health and teaching qualifications and some hard-earned life lessons, Allston found she had good advice to give. Allston began her sporting life as a nationally competitive swimmer, following in the path of her mother, who also swam competitively. Together, mother and daughter would get up every morning at 5.30am to make it to training at the Hobart Aquatic Centre before school, returning for another session in the afternoon. But Allston says she “plateaued” in her mid-teens, just as her elder brother James was getting serious about orienteering. “I used to think orienteering was incredibly daggy and doing it in Tasmania in the middle of winter is pretty hard work,” Allston laughs. 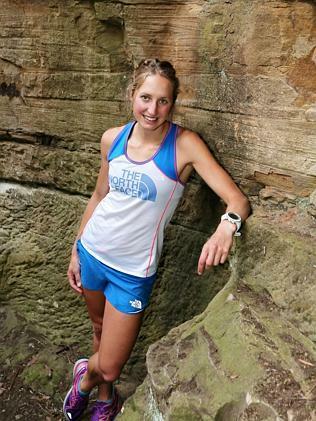 That attitude changed forever as soon as she made the Australian orienteering team and found herself on a plane with her teammates to New Zealand and then Estonia. “Suddenly I went from seeing myself as living locally in Tasmania to seeing a lot of opportunities that have taken me now to more than 35 countries and racing in more than 30 of them and living in six,” Allston says. 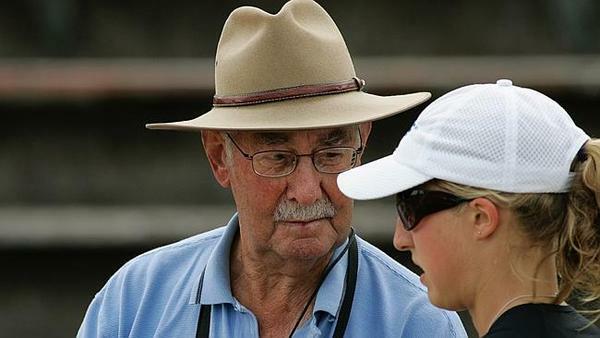 “It’s been an incredible journey.” Orienteering Australia director Mike Dowling describes Allston as a “once-in-a-generation athlete”. As well as competing at the World Orienteering Championships in Scotland later this year, Allston is coaching Australia’s junior team as it prepares for competition in Norway. Allston remains the only person from outside Europe to win a senior World Orienteering title. An act of kindness by then-Formula One driver Mark Webber was a defining moment in Allston’s life. It helps explain her willingness to give so much of herself to others. At the end of 2006, Webber handed her a hefty cheque as thanks for her help and support organising his Tasmanian adventure race the Mark Webber Challenge. Find Your Feet has grown naturally through word of mouth, even while Allston worked with the Australian Institute of Sport in Canberra for a few years. She now coaches clients in every state and territory, ranging from “recreationally elite” athletes to aspiring fun runners. Allston and her ski-instructor partner Graham Hammond returned from Canberra late last year to set up a shop front for Find Your Feet in Hobart, selling adventure and running gear. Allston is about to embark on her toughest year of competition to date, taking on the world’s best high-altitude endurance athletes in the Skyrunner World Series in Italy, Switzerland and Hong Kong. An exhibition space upstairs is used to host seminars and display artwork by Tasmania’s talented wilderness photographers. The pair met about 15 years ago while working at the Paddy Pallin camping store in Hobart. It took several years for their relationship to blossom into more than friendship, with their well-travelled paths rarely crossing (Allston is a summer athlete while Hammond is always chasing the ski season). Together they have created a new breed of business, drawing on their combined experiences overseas to share with others their love of travel and using online technology to deliver Allston’s coaching, nutrition and hydration advice to athletes around Australia. The couple’s “Gone Running” tours - basically a running version of a guided multi-day walk - in Tasmania and favourite destinations overseas sell out almost as soon as they go online. Allston’s goalposts have shifted dramatically since her swimming days when the Olympics was, in her mind, the pinnacle of sporting achievement. She is about to embark on her toughest year of competition to date, taking on the world’s best high-altitude endurance athletes in the Skyrunner World Series in Italy, Switzerland and Hong Kong. It is no longer the Olympics she wants to conquer, but some of the world’s most spectacular mountains. 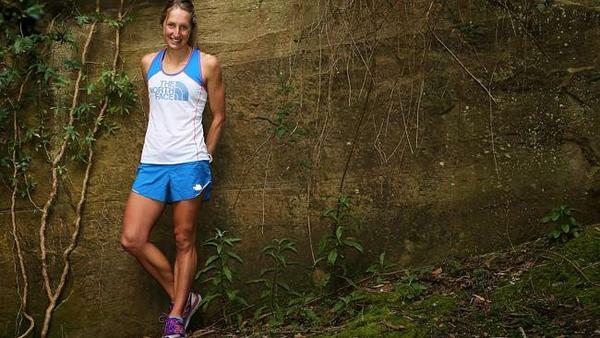 If her performance at the Six Foot Track Marathon across the Blue Mountains on March 14 is anything to go by, high-altitude running is a good fit. Allston was in a league of her own in the legendary 45km race that attracts 900 entrants from around the world. She finished half an hour ahead of her nearest female rival, experienced ultra marathon runner Gill Fowler, and shaved more than three minutes off the women’s race record. “I said to Graham over breakfast the next day, ‘This is going to make orienteering feel easy physically’,” Allston laughs. “You’re just running at the edge of your capacity all the time, there’s just no down time. I love everything about trail racing, it can take you to magical places and one day is never the same as another." Allston’s training for the Skyrunner series will begin in earnest in a couple of months when she heads to New Zealand, where her new coach and longtime friend James Keugler is based. For her father, it is a joy after so many turbulent years to see his daughter using her past challenges to help others and to see her competing for all the right reasons. “She competes because she enjoys it, not to win, and she competes with a humility and an awareness of the dangers of having a high profile life,” he says. “To have learnt that at her age is really great.” Allston recently passed up a prestigious scholarship to study at the International Olympic Committee in Switzerland this year in favour of building a life and business with Hammond in Hobart. Allston receives her World Orienteering Championship gold medal in Denmark in 2006. Allston with coach Max Cherry, who died in 2008. Allston and her partner Graham Hammond in their Find Your Feet shop. 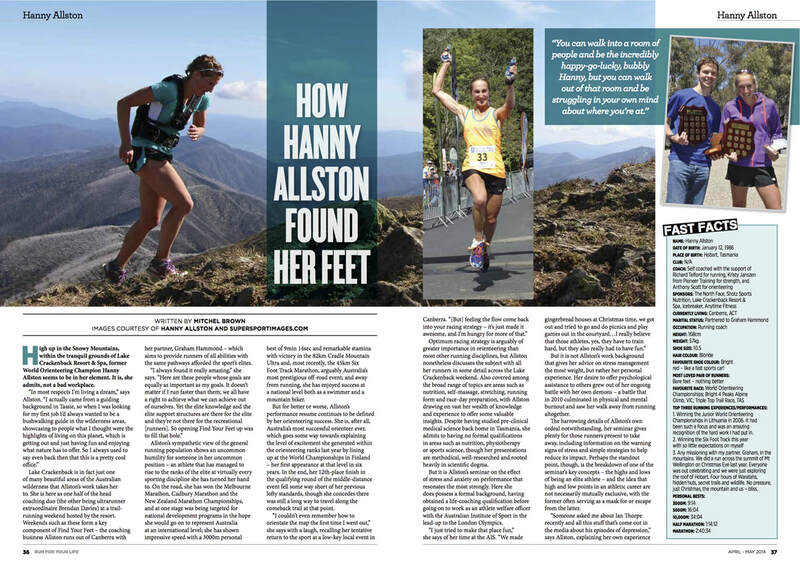 Feature article on Hanny Allston in Run 4 Your Life Magazine, April-May edition 2014. Written by Mitchel Brown. Click to download or read pdf of article.